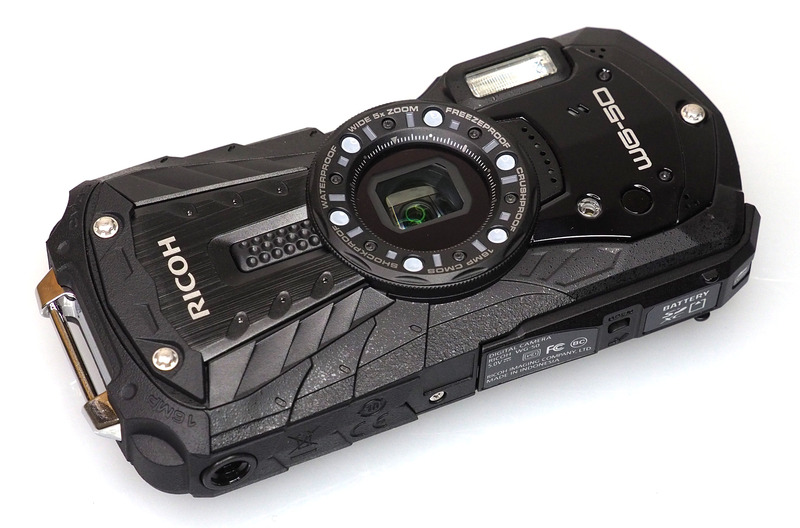 Here are our top 10 best waterproof tough cameras for active photographers with features like GPS and Wi-Fi built in they make an ideal active holiday camera. The cameras featured on this list are all waterproof, shockproof and freezeproof which makes them ideal for underwater and travel photography. They're also our highest scoring tough digital cameras that we've reviewed, so you can be assured that you're purchasing a good camera that's perfect for your next trip. If you're planning on shooting underwater, then you will want a camera with a bright lens, and good noise performance. Some also feature 4K video, for high quality underwater video recording. 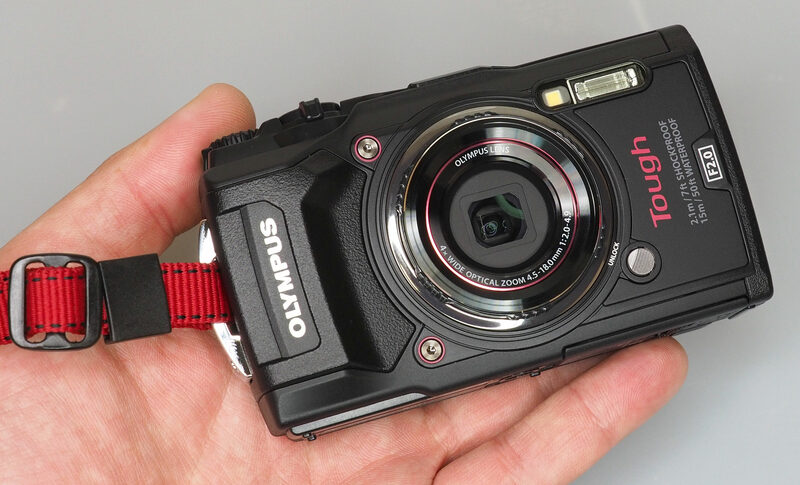 The Olympus Tough TG-5 is the latest waterproof camera from Olympus and features a new 12-megapixel sensor for better low-light performance, along with high-speed shooting (both stills and video), and 4K video recording. The camera also features built-in Wi-Fi, GPS, a bright 4x optical zoom lens, with a f/2.0 aperture, and a number of advanced features. If you're in the market for a tough waterproof camera, then the Olympus Tough TG-5 offers a big step up from other waterproof cameras and there's a wide range of accessories available for the camera including a ring-flash adapter, wide-angle converter and telephoto adapter, thanks to the unique detachable ring on the front. The 16mp Olympus Stylus Tough TG-4 features a bright f/2.0 4x optical zoom lens, and a front ring that can be removed to let you add a variety of different accessories, including a ringflash adapter. The camera can shoot raw photos, and has built-in Wi-Fi and GPS. 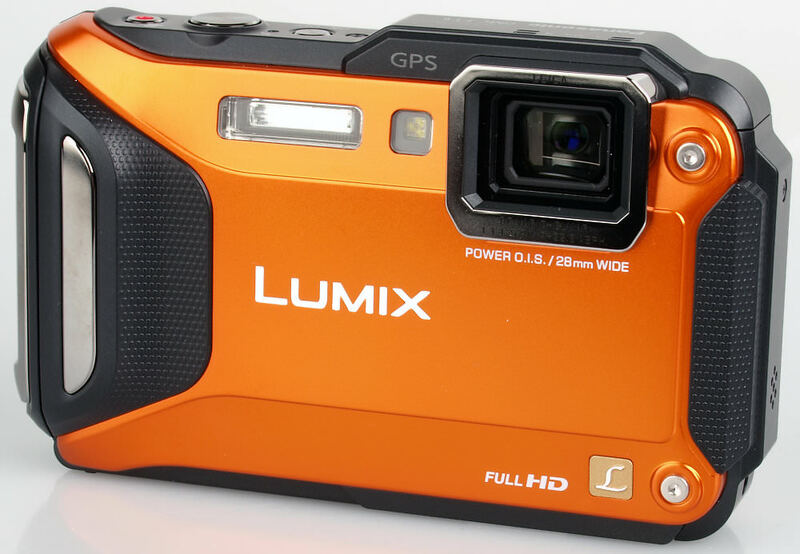 The Panasonic Lumix FT5 offers a 4.6x optical zoom lens, a tough shockproof body, and is waterproof to 13 metres. It even has GPS built in. The Panasonic Lumix FT5 is available from Amazon for £215. The Nikon 1 AW1 is the World's first waterproof interchangeable lens digital camera, and is waterproof to 15m, freeze proof and shock proof, with high speed shooting modes. 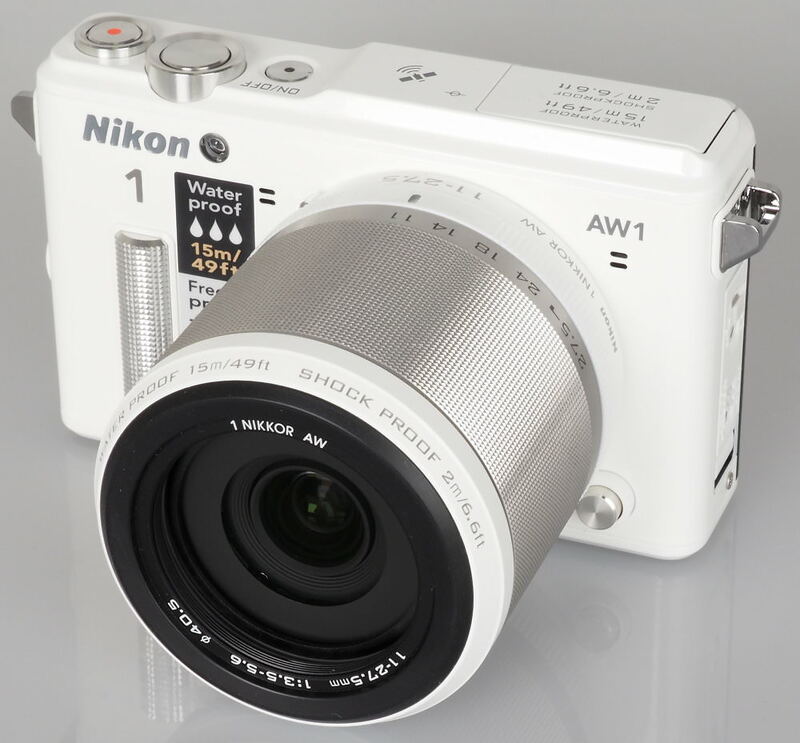 The Nikon 1 AW1 is available from Amazon for £649. The Nikon Coolpix W300 features 4K video, and similar to the AW130, it is waterproof to 30m, shockproof to 2.1m and freezeproof to -10°C. It has a 16-megapixel sensor, an internal 5x optical zoom lens and WiFi / Bluetooth are built in. The W300 is available in black, orange, camouflage and yellow. 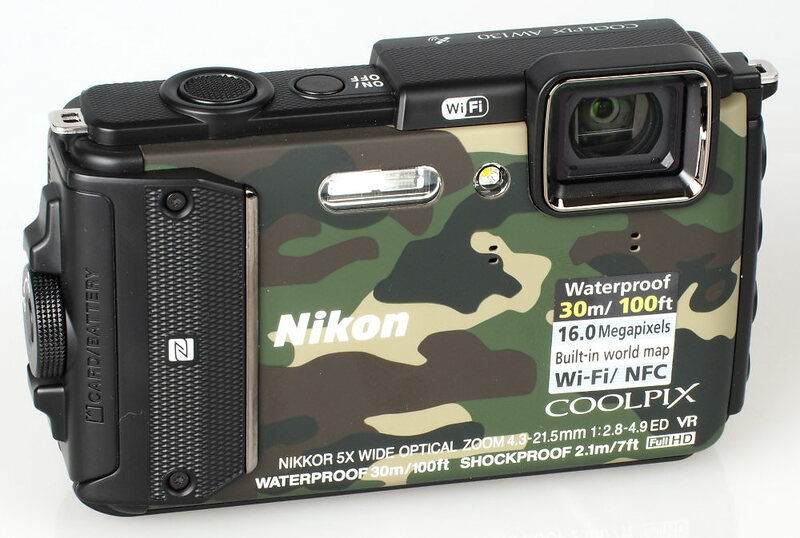 The Nikon Coolpix AW130, with built in GPS, Wi-Fi and NFC, is waterproof to 30 metres, shockproof to 2.1 metres, and features a wide-angle 5x optical zoom lens. The AW130 is available in a number of different colours. 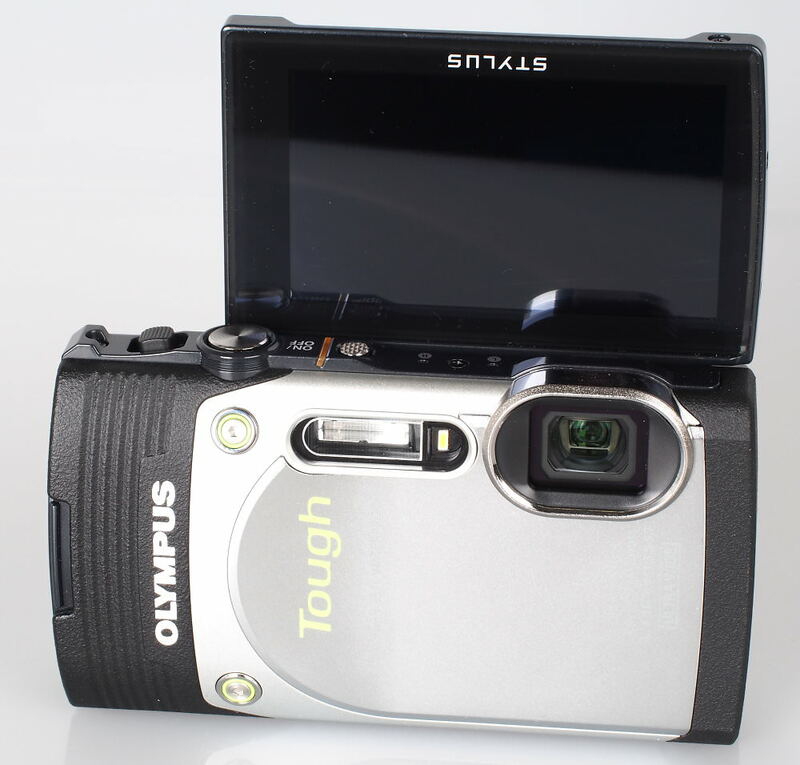 The Olympus Tough TG-850 is the only waterproof camera with a tilting 3inch screen, ideal for selfies, group shots, and family photos when shooting on holiday, or underwater. 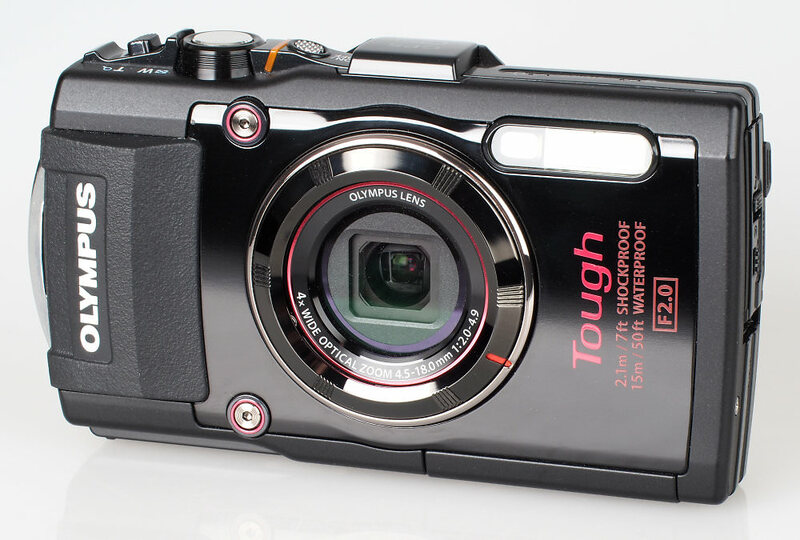 The Olympus Tough TG-850 is available from around £259, depending on colour. 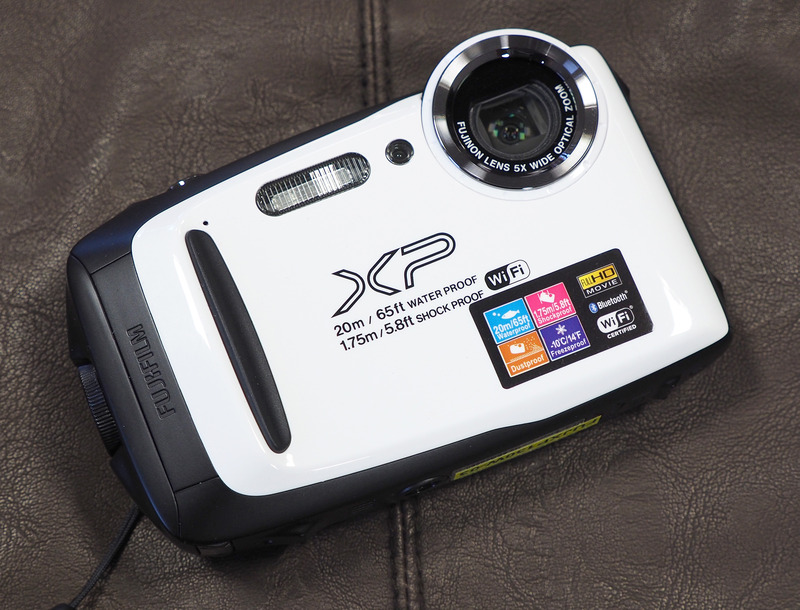 The Fujifilm FinePix XP130 adds Bluetooth and improved battery life to the features on offer in the XP series. It also sports a 5x optical zoom lens, and 16 megapixel sensor. The camera is waterproof down to 20m and has Full HD video recording. The WG-50 is waterproof to a depth of 14 metres, shockproof against falls from a height of 1.6 metres, and freezeproof to temperatures as low as -10°C. It also captures Full HD (1920 x 1080 pixels) video and is equipped with a 2.7 inch LCD screen where the brightness can be instantly adjusted to the lighting levels outdoors. A five-times optical zoom lens with a focal length coverage from 5mm to 25mm is built in and there's an Intelligent Zoom function that extends the zoom range to approximately 36 times (equivalent to 1008mm in the 35mm format. 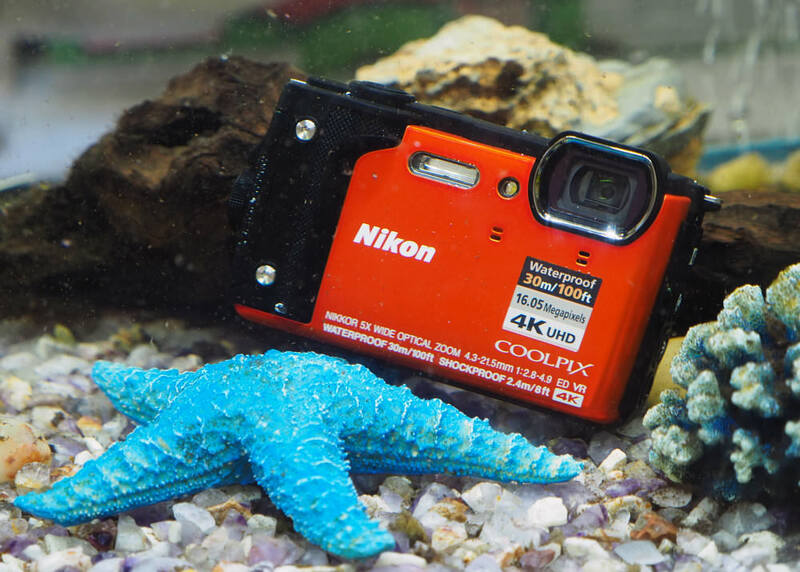 If you want something smaller, you might want to look at the Best Action Cameras, alternatively, if you're on a budget, you could look at the Nikon Coolpix W100. To find the right memory card for your camera, have a look at our memory card guide and do take a look at our 'Best Gear' section where you'll find more tops lists like this one. Well, I own a FujiFilm XP90. Although it is listed in the 8-th rank, it is really a good value for its performance / price ratio. It does not deliver photos like 70D, 7D or 6D, but they are quite acceptable and satisfactory in quality. 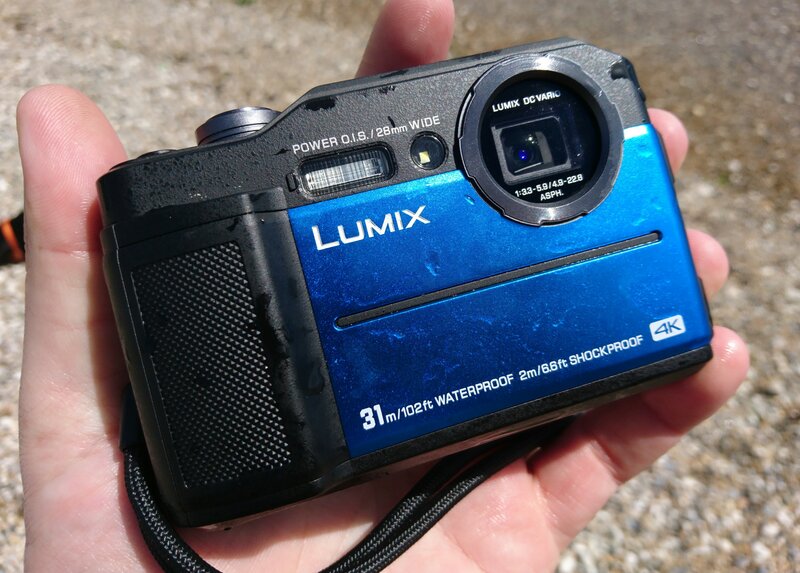 I can recommend XP90 for a budget underwater camera option. Meanwhile FujiFilm announced a new version for XP-series: XP120. You would better check that one if you intend to buy an XP-series underwater camera. Well, I own a FujiFilm XP90. Although it is listed in the 8-th rank, it is really a good value for its performance / price ratio. It does not deliver photos like 70D, 7D or 6D, but they are quite acceptable and satisfactory in quality. I can recommend XP90 for a budget underwater camera option. Meanwhile FujiFilm announced a new version for XP-series: XP120. You would better check that one if you intend to buy an XP-series underwater camera.